Does anyone else feel like they LIVE in their vehicle? Between soccer, swim lessons, orthodontics appointments, birthday parties, family events and church it seems we are constantly on the go. We generally fill up the down time in waiting rooms etc. with a book, but even my kids want something to do besides read occasionally. No really. It’s true. Enter this great little Lego on the Go idea from Fun at Home with Kids. She popped a few basic Lego pieces into a small container that fits in her purse along with great bright templates of completed Lego towers made from the pieces in the container. Genius. You can download all the template cards from her website, and one of her readers even created blank (uncolored) template cards so you can create your own colors if you don’t happen to have the ones needed for her cards. I am super high-class, so a Ziploc sandwich bag is serving as my on the go container. I may eventually pick something up from the dollar store that’s a little sturdier. Honestly? Probably not. Ziploc for the win! Here’s a round-up of some fun and easy activities you can do with your family during Easter week. Enjoy! 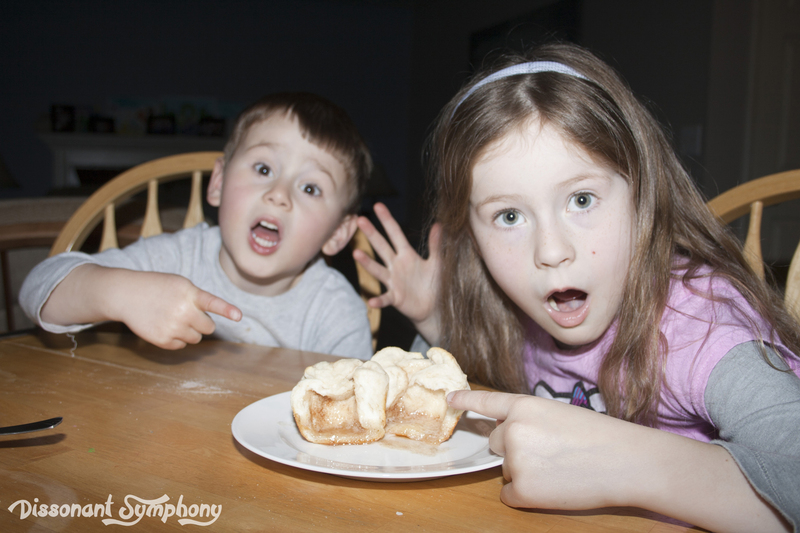 Resurrection Rolls – a fun food demonstration with disappearing marshmallows! 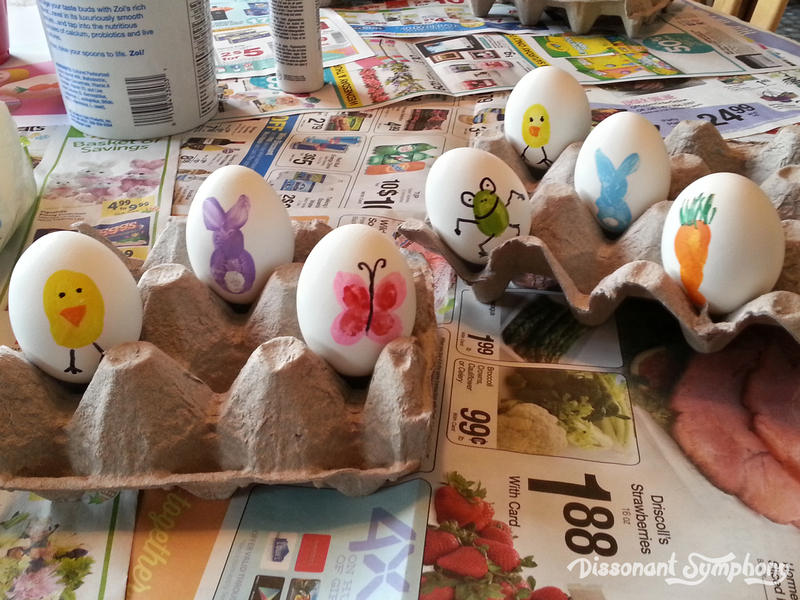 Fingerprint Eggs – if you are sick of dyeing eggs, try painting instead! 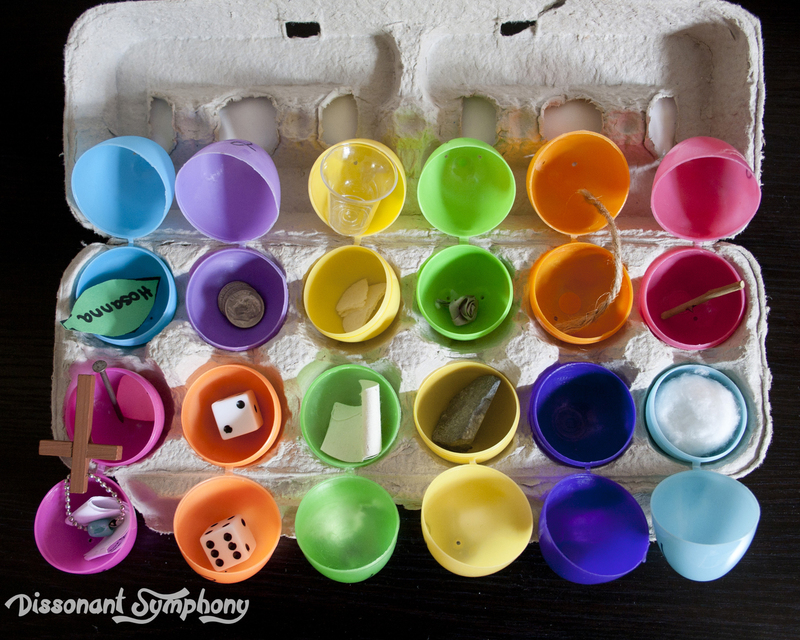 Resurrection Eggs – a great way to teach your children the story of Easter, and enable them to share it with others! 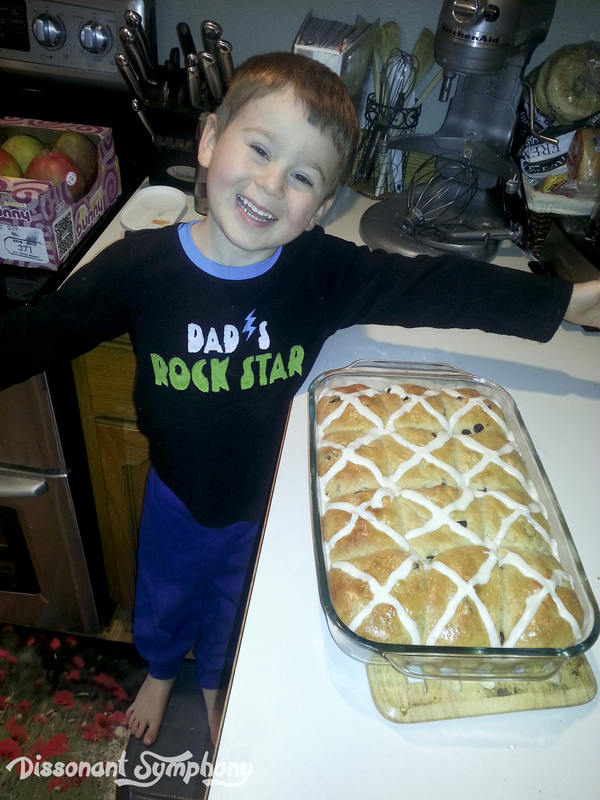 Hot Cross Buns – delicious fluffy rolls perfect for little hands to help making! If you are looking for Easter deliciousness, head over to Bakerlady to find Perfect Deviled Eggs, and other Easter Foods that are Easier than You’d Expect! Happy Easter everyone! He is Risen! Otherwise known as sunprints! My kids and I enjoyed this fun science project last year. The beautiful weather this weekend reminded me of it, and thus you are the beneficiary of a great outdoor learning activity for you and your munchkins. You’ll need sunprint paper, acrylic sheet, cardboard, a tub full of water, fun and interesting objects to print. You can purchase sunprint paper from Amazon (who now has free same day shipping to 14 metro areas with Prime Memberships ! ), they also sell sunprint kits which include an acrylic sheet, you’ll see from the pictures that I used a Pyrex casserole dish thinking it would be just as good…I was so wrong. I ended up with blurred fuzzy edges. Just say no to fuzzy edges!